Philippe Laurent is practising IP / IT & commercial law at MVVP since 2003. He advises clients and litigates on Intellectual Property (copyrights, trademarks, designs, database rights, trade secrets, patents,…) and Information Technology law matters (data protection, privacy, online contracting, E-commerce, E-marketing, outsourcing, domain names…). He usually assists and represents businesses in the following sectors : software & apps development, system integration, IT consulting, SaaS & cloud solutions, data and services hosting, data mining & big data, video gaming & simulators, complex all-in-one solutions, web development, SEO, E-Learning platforms, IoT & connected devices, medical data platforms & devices, on-line advertisement & entertainment, online commerce and merchandise distribution sectors. He developped a particular experience in Free/Open Source software, content, data and hardware licensing. Philippe’s practice encompasses also a wide range of commercial law matters, including any forms of distribution (exclusive and non-exclusive distributorships, agencies, franchising agreements,…), promotion and advertisement of goods and services, trade practices and consumer protection compliance. He has founded “Legal ICT” (legalict.be), an initiative that offers legal training modules to ICT and Innovation-driven businesses and organisations. He is also regularly appointed by CEPANI as Third-Party Decider for “.be” domain name disputes. 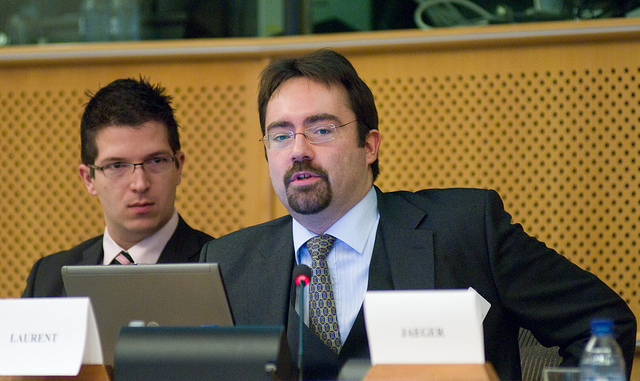 He has formerly been Senior Researcher at the CRIDS (Research Centre – Information, Law & Society of the University of Namur) where he studied during 10 years the legal aspects of intellectual property licensing, data and software protection, open source schemes, cloud computing and the governance of the Internet. He has written several expert studies for the European Commission and the European Parliament on the legal aspects of open source and interoperability information licensing. He has also been an alternate member of the copyrights and neighbouring rights section of the Intellectual Property Council of the Belgian Ministry of Economy. He regularly participates in conferences and has published many contributions and articles in books and law reviews. He speaks French, English and Spanish, and has a working proficency of Dutch.